There are a lot of exchange websites today that offer area-based services. Today, we will be looking into one of the top Brazilian Exchange called Mercado Bitcoin. How to register a new account on Mercado Bitcoin? 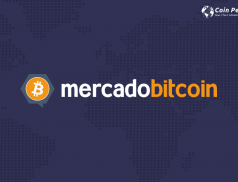 Mercado Bitcoin is a Brazilian exchange for cryptocurrency. It is one of the largest crypto exchanges in Brazil and Latin America. Rodrigo Batista is currently the CEO of Mercado Bitcoin. The company has over +1 million clients so far. The motto of Mercado Bitcoin is to innovate the financial system with latest and advanced technology. The company has an intense media coverage on some of the well-known journals and newspapers such as Forbes, Info money etc. The source for Brazilian financial market is Broadcast, Estadao, Economatica, CMA, Comdinheiro etc. This platform has an experienced team of developers and finance, which makes the platform reliable and trustworthy. Mercado Bitcoin provides exceptional service when it comes to trading and exchange. The users can trade only in reais, the currency of Brazil. The platform does not accept USD or Euro for now. The trading occurs between crypto currency and reais. For fiat deposit fee is at 1.99% + R$ 2.00 f. Cryptocurrencies do not have a deposit charge but they have a withdrawal charge if transferred to a different wallet, not within the website. The fee for the maker is at 0.30% and 0.70% for the taker. The exchange works as a virtual wallet too, they do not charge fund transfers from different accounts to another as long as it’s on the website. The market of crypto currency demands a strict standard for security. Mercado Bitcoin takes full responsibility of keeping the user’s money secure. The platform has EV type SSL certificate thus assuring the users that company is legally registered. All the sensitive data is encrypted and the infrastructure for data security is robust. Talking about the infrastructure, the company has certain features such as design by security, back up routine, replication encryption, cloud security etc. The platform provides protection against DDoS and is completely SSL certified. All the digital currency is in cold storage. This keeps them off the online servers. The money is thus protected against any cyber crime and also eliminates the risk of volatility. The user can also enable two-factor authentication on their device to add an extra layer of security. The user can download Google authenticator and scan the QR code of Mercado Bitcoin account. Later the user can sync them. Thus, every time there is a login, the user would receive a 6-digit code on their device. Mercado Bitcoin has different types of accounts i.e. the normal account, VIP account and Gold account. The normal account requires email Validation and active CPF for registration. VIP accounts could be either for Individual or corporate. These documents require colored photo and document. The Gold account only requires authentic documents. In order to register a new account, log on to www.mercandobitcoin.com. The user can then click on the tab “Create your free account”. Enter the details such as email ID and date of birth. The user also needs to enter CPF or CPNF. This is a Brazilian identification that is essential for the regulation process. The user can then click on the tab “I agree to T&C” to complete the signup process. Next is mercado bitcoin login. Login using your credentials. In order to buy Bitcoins, the first step is deposit reais in the Mercado Bitcoin account. Once the credit is available, the user can then decide the amount for which he wants to buy Bitcoin and place the order. For selling the Bitcoins, the user can do a market analysis before hand and check the real-time prices of the currency. If there is a higher price available then the user can place the order and sell bitcoins. There are several tools available to analyze the market. The user can avail several services on Mercado coin such as real time value of the currency, the 24-hour trading volume, the minimum and maximum price for the day. The information could be viewed for different timelines such as minutes, hours or day. Mercadobitcoin is an exclusive website just for Brazilian citizens. They offer a good platform for people that are new to the crypto market by offering fiat deposit options. Though the fees are high compare to other sites, But the people of Brazil have trusted and given a huge boost to this exchange since the company is local. What is your opinion on Mercado Bitcoin review? Do share your thoughts on our Twitter and Facebook pages.